EP201: Back to Basics: What Is a Foreclosure? About a decade ago, foreclosures were common in the world of real estate. Now, foreclosures are much less common, but as a real estate investor, you should be informed about foreclosures and how they work. On this episode of Investing in Real Estate, I’ll walk you through the five-step foreclosure process. You’ll learn about liens, public notices, collateral, and more. You’ll also come to understand the agreement between the borrower and the bank, and how it changes in the event of a foreclosure. 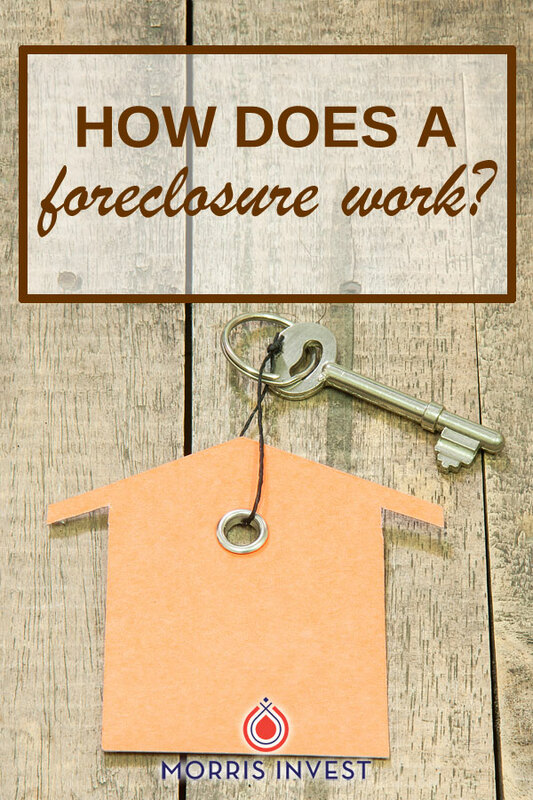 A foreclosure occurs when the borrower fails to make regular payments on their mortgage. When a mortgage is constructed, the bank places a lien on the property. This means the loan is secured, and in the event that the loan is unpaid, the bank has the rights to the property. The process can vary depending by state law, but typically the foreclosure process begins with missed payments. When the borrower stops making their regular monthly payment, the bank takes action. Then, the lender records a public notice. This notice indicates that the borrower defaulted on the loan. Next, the home goes into pre-foreclosure. This is a grace period that allows the borrower to work out an arrangement. Typically the bank would rather collect some of the payment than none. The next step is an auction. If a third party does not purchase the home in an auction, it goes into post foreclosure. Then, the bank takes ownership of the property. On today’s show, I’ll go deeper into the foreclosure process. I'll walk you through the whole process, including examples. Don't miss this episode of Investing in Real Estate! When does the public notice occur? How long is the pre-foreclosure grace period? How does lien positioning work? This episode of Investing in Real Estate is brought to you by ZipRecruiter. With ZipRecruiter, you can post your job to 100+ job sites with just one click. Visit ZipRecruiter.com/investing to post your jobs for free! The real estate market is always changing, and savvy investors always stay up to date on market conditions. On today’s show, I’m sitting down with longtime real estate investor and writer, Brian Kline! Brian has been in the real estate investing game since before the housing crisis, and on today’s show he’s sharing his perspective on the current market. Brian is also sharing his biggest takeaway from the 2008 crash, how today’s market is different from a decade ago, and how you can stay informed about market trends. Brian has so much insight to offer; you won’t want to miss this episode of Investing in Real Estate! Brian Kline explains that one of the biggest takeaways he gleaned from the 2008 market crash is that real estate is a cyclical business. Just before the crash, many investors and homebuyers believed that there was no cap. But as we saw in 2008, real estate bubbles eventually burst. Although the market today looks similar to the market a decade ago, Brian describes that there are some major differences. He posits that the market today is tighter; it is much more difficult to qualify for a mortgage. No longer can investors go to the bank and quickly wrack up mortgages. He explains that for investors, creative financing is more important than ever before. Additionally, there is a vast amount of private financing available at this time. Brian is constantly watching the current trends of the real estate business, and he regularly shares his contributions on Realty Biz News. On today’s show, Brian is sharing his insight into the future of the real estate market. We’ll talk about Millennials, Dodd Frank, and creative financing. Brian is also sharing his advice for first time investors, and how to choose a rental market. Don’t miss episode 185 of Investing in Real Estate! What does Brian consider as the best niche for new investors? What is the current average vacancy rate? What are Millennials looking for in homes? What is Brian’s prediction for changes in Dodd Frank? What is a mortgage solution formula?